A & P is delighted to celebrate the food and drink from our local area. Like the legendary A & P that stood here before us, we believe in community, bringing people together. We've created this place to do just that: serve you, your pals and family the most exquisite cocktails and selection of comfort food you've ever had. We've traveled the world collecting these concoctions. Hunting and lovingly gathering recipes from every kitchen, pub, club and cafe along the way, so you can simply walk down the block and enjoy! Also on the Hudson Valley Dollar$aver. 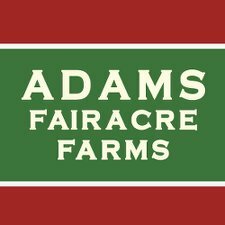 "Giving You Farmstand Quality Every Day” There are four Adams stores around the Hudson River Valley – in Poughkeepsie, Kingston, Wappinger and Newburgh – and we are always up to new tricks. Every week in every store there are new products, new tastes and new sale items. We keep it fresh, we keep it cheerful and if you can’t find something, please ask. Every Adams employee is eager to make your shopping experience easy, worthwhile and fun. Starting with American comfort food favorites, our culinary team studies traditional and time-honored preparation methods. We then combine those classic practices with modern culinary techniques. As a result, we’re able to reintroduce authentic dishes in fresh, contemporary ways. Our bold fusion menu satisfies everyone from astute epicures to good ol’ boys straight from the South. Sit at our wood and mirrored bars to enjoy a locally made craft beer, glass of wine, or cocktail. Our chilled, 29° draught brew, is pulled from a state of the art glycol cooling system, the tap tower is covered in two inches of ice. In addition to beer and wine, we offer one of the area’s largest selections of fine Kentucky Bourbons, American Ryes and Single Malt Scotches. American Glory is a whiskey bar, and our bartenders specialize in prohibition style cocktails, as well as all the standards. Imagine a space where artists and art lovers could gather to share their common interest in all things art. Imagine that space being comfortable, relaxed, and inviting, offering a lite fare menu, desserts, and drinks. Imagine a new exhibition each month with a conceptual theme that offers not only something to look at, but something to think about. Imagine being able to schedule business and social events in this space, adding a uniquely artistic flair to your next gathering. Now imagine not having to travel to Manhattan, but finding this space in the heart of the Hudson Valley in historic Kingston NY. Open 7 Days 8:00am -8:00pm. We were created by and for families in the Berkshires to bring real food to our friends and neighbors. Everything we sell is thoughtfully chosen, so you can rest assured that it's good for you and for our community. Our Tap Room is open from 12-7 on Thursdays, Fridays, Saturdays and Sundays for pints and beer to go. We do free tours on Saturdays. We have beer to sell by the six pack & four pack or we can fill your growlers. We are here throughout the week if you would like to come in and buy some beer or fill a growler, but keep in mind we may be brewing, canning or something else so please bear with us, thanks. Buttermilk Falls’ extraordinary 75 acre Hudson River Valley estate offers a remarkable selection of lodgings, a farm-to-table restaurant, an organic kitchen garden and orchard a world class spa, gardens, trails and animal sanctuary. 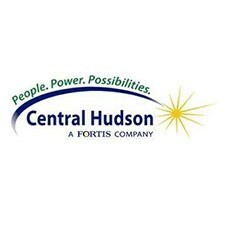 Numerous Hudson River Valley attractions, are close by. Join us at Buttermilk Falls for the day, for an evening, for a weekend or a week-long retreat …or for your very special event. Cafe Mio opened in May 2010 and is located inside Gardiner Gables of Gardiner, NY. Since then, esteemed Chef Michael Bernardo has been serving both quality interpretations of classic dishes and bold new ventures chalked in daily on the specials board. Cafe Mio's interior reflects the unique taste of the surrounding area while also paying tribute to Gardiner's storied past. The warm and comforting backdrop, ornate with the work of local artists, blends into the heart of the bustling open-kitchen eatery.